Hello Sunshine! 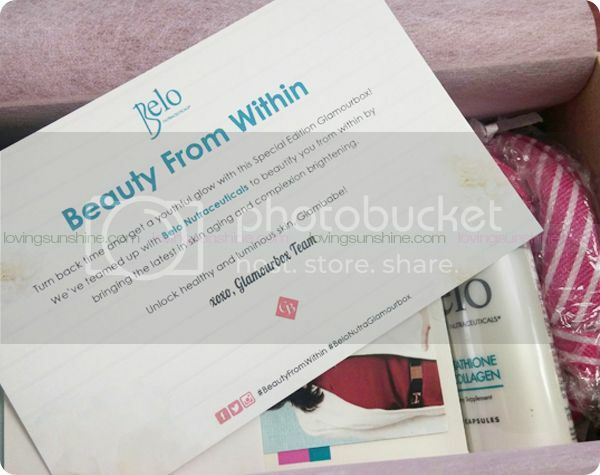 Last month, I got th pleasure to receive the Glamourbox September 2014 Beauty from Within Belo exclusive box. 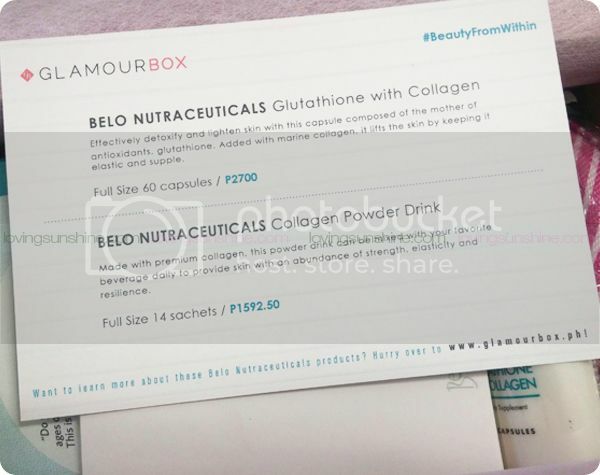 It only had two items in it, but the products sampled were premium nutraceuticals. 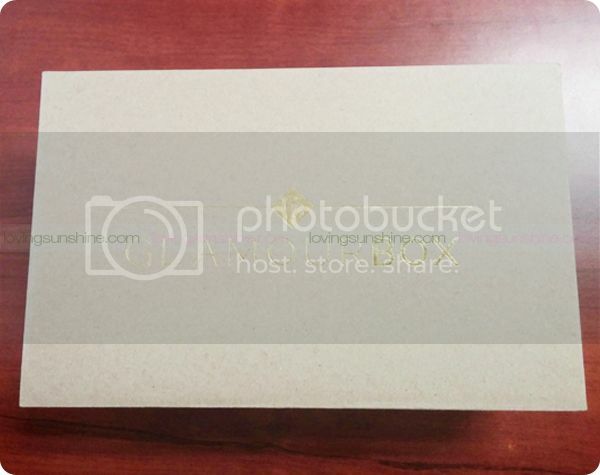 Come, unbox September 2014 Glamourbox with me! As with all Glamourboxes, it starts with a very well protected box! 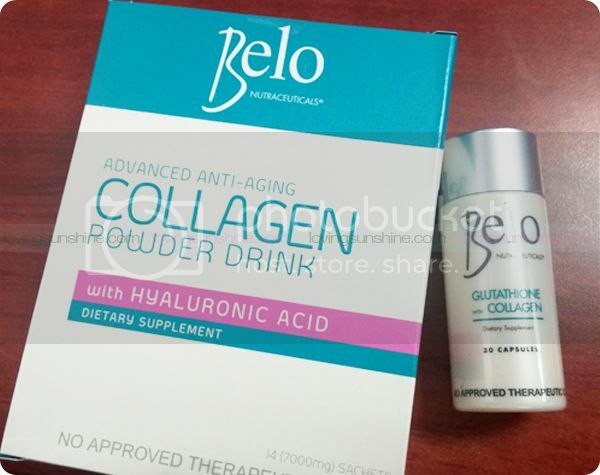 Collagen is the most dominant protein in our bodies. As a matter of fact, 30% of the protein found in our body is Collagen. And more significantly, 70% of our skin is composed of Collagen. It provides strength and structure to different parts of the body, holding cells and tissues together in bones, tendons and ligaments. 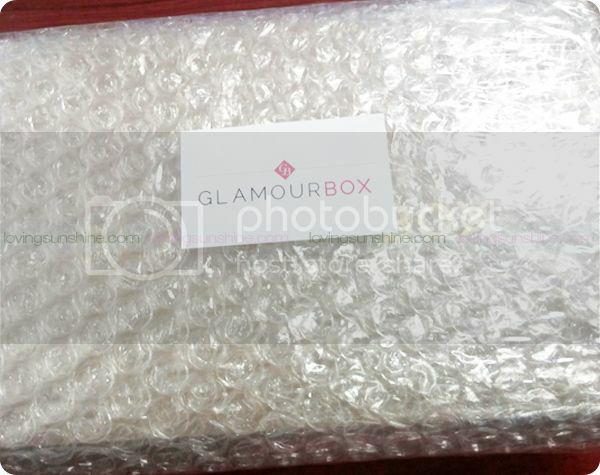 Click for more Glamourbox unboxing posts. 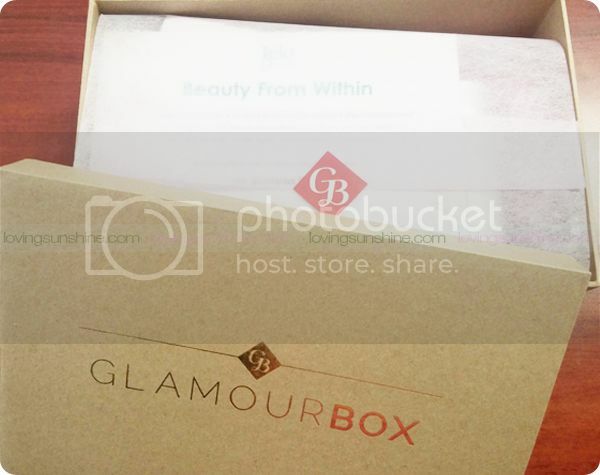 Thank you so much Glamourbox for sharing me some inner love!